In Dzogchen we are working with our own mind, and our mind is personal, it is our own as opposed to someone else's. My mind is not your mind, and vice versa. And each of our mind's has its own noetic capacity, or "awareness", which are distinct and separate. This model is quite different from Advaita Vedanta, for example, which proposes a single transpersonal awareness. So whereas the awareness of Vedanta is a global and all-encompassing, ontological principle, the species of awareness proposed by Dzogchen (and other Buddhist tenet systems in general) is relegated to an individuated mind-continuum. And this is the major difference. Advaita is saying there is a single, ontological continuum that subsumes all minds, collectively, and all phenomena. This is like saying that all fires have the very same continuum of heat, akin to a singular field of heat that alone exists and extends through every instance of fire. That is why their model is "transpersonal", because their ultimate is not expressed in distinct minds, but rather every instance of allegedly personal consciousness is actually part of a single overarching continuum. However that is not the Buddhist view works. In Buddhism, each mind has its own nature. Each and every nature is the same in that they share the same generic characteristic, but those natures are not the "same" as in a single, all-encompassing, ontological field. They are simply identical in that they all share the same characteristic. Just two candles are not actually sharing the same heat that extends through space between them. The candle flames simply share a characteristic of "heat", yet each instance of heat is distinct and separate, belonging to the specific flame in question. This is the same for the nature of our mind. Differences like this used to confuse me and I didn't really understand how Dzogchen could eventually get to a free and liberating place while founding its praxis on what appeared to be a limited view of individual minds and so on. But interestingly enough it does in fact allow for that apparent separation to collapse or fall away, it just does it in a different manner than Advaita does. One of the most vital principles to understand in this respect is one that is a prominent tenet of Mahayana, and that is the "two-truths", which are (i) relative truth (and also conventional truth), and (ii) ultimate truth. These ideas that are found in Madhyamaka and so on will be important to understand when approaching Dzogchen. Why are they important? Because in Buddhism and Dzogpachenpo minds are not held to be real, they are merely conventional, and this is very important to understand, because this conventional status is what allows for one's mind to be unique and distinct, while at the same time ultimately being devoid of subtantiality. Conventional truth is essentially going to be the world of plain old everyday things. We can say that "conventions" in the context we are concerned with here is the working idea of a person, place, thing, etc. Other examples of conventions that Greg Goode has pointed out before are "Gestures, customs, ethics, esthetic tastes, norms and standards, rules, laws, fashion, language as a whole. Teachings and traditions, etc." But in general a conventional "truth" is going to be defined as "something can be tacitly accepted as long as it is not critically investigated, that is characterized by arising and decay, and that has causal effectivity." Or at least that is how an Indian scholar named Śāntarakṣita defines "conventional truth". I find it to be an apt definition. So in that way conventional truth is going to be something (even everyday things) that appear to function smoothly, but if closely investigated will be revealed as false (and Buddhism does say that everything is ultimately false, so to speak). Conventional truth is then contrasted with "ultimate truth", which is the emptiness of a given convention. So a car is a convention, and the emptiness of the car is the ultimate truth of the car. The cat is a convention, and the emptiness of the cat is the ultimate truth of the cat. Conventional truth is also a subdivision of what is called "relative truth", and relative truth is the way things appear to a mind that confuses things to be real. When we perceive a person, place or thing and mistake those things to be truly real, having originated (birth) at a certain point in time, and susceptible to decay or destruction (death), this is relative truth. Now, you may have heard that Dzogchen does not employ the two-truths model, and it is true Dzogchen does not. But a general understanding of relative and ultimate truth is important because in Dzogchen, relative truth becomes what is called "ma rig pa" or "ignorance", and ultimate truth becomes what is called "rig pa" or "knowledge".Why are rigpa and marigpa important? This dichotomy is really carries the entire view of Dzogchen, and this goes back to the idea of relative and ultimate truths. As noted above, we have our own mind, and we take our mind to be truly established and real, we believe our mind to belong to us, an existent entity, and therefore we also believe that our mind exists as well (which means it can cease to exist). In Dzogchen and Buddhism in general, this notion that our mind is truly substantial and conditioned (capable of existing and not-existing) is called "ignorance" or "marigpa". The perception of a real and enduring entity that abides in time and exists separately from an objective universe that is truly established is held to be delusion. And because it is delusion, Dzogchen states that this is not the way things really are. The true nature of our mind is that it is unborn, primordial, free from the extremes of existence and non-existence, unsullied and perfect. However we do not recognize this, and because we don't recognize this we mistake our minds to be a subjective cognitive capacity that is the foundation for a conditioned entity that was born and will eventually die, and this is the root of suffering. That misconception of a conditioned mind that acts as the foundation for a truly existent, individual entity is "marigpa", and the point of Dzogchen, is to recognize the true nature of that mind. When we recognize the nature of our mind, then we are no longer ignorant of the way things really are, and instead we have a direct, experiential knowledge of "the way things really are". That knowledge is called "rig pa". As a general term in Tibetan, rig pa means "knowing", "intelligence" etc. However in the context of Dzogchen, rig pa is the opposite of "ma rig pa" which is "ignorance", specifically an ignorance of our nature. So as the opposite of "ignorance", rig pa means something like knowledge, a knowledge of your nature. However it is not an intellectual or conceptual knowledge, but rather an experiential knowledge. For example, if you have tasted chocolate then you have a direct knowledge of its experiential nature, the flavor of sweetness or bitterness etc., you know that taste and would be able to identify it again even if you were blindfolded and it was placed in your mouth, you have a knowledge of that taste. So rig pa is an experiential knowledge like that, it is a direct knowledge of the nature of your mind. Rig pa is synonymous with "shes rab" which in Sanskrit is prajñā.Why is recognition of the nature of mind important? And why does it not entail the recognition of an ontological and unconditioned absolute like Advaita Vedanta? This sort of gets into the whole "cause and condition" side of this equation, where the perception of real entities (persons, places, things, etc.) is caused by a certain type of ignorance. And that being the case, the very cognition of real entities (or what is called "conditioned phenomena" such as an internal, personal self, or external, impersonal objects) quite literally arises because of that ignorance and is therefore fundamentally no different than that ignorance. And in this sense, when one realizes that said apparently real entities are actually empty of inherency, that realization or epiphany is really just a cessation of cause [ignorance] for the arising of the perception of those entities. Meaning; it is simply a cessation of ignorance. In that way there is either the presence of ignorance, and the results of ignorance, or the cessation of ignorance and the results of that cessation, but an underlying, substantial nature (like we would find in Vedanta) is not part of that process. So in Dzogchen for example, it is said that there is one basis [which is essentially the emptiness of phenomena] and two paths: (i) ignorance [marigpa] of that emptiness, and (ii) knowledge [rigpa] of that emptiness. Those two paths lead in opposite directions, one (marigpa) leading to suffering and samsara, and the second (rigpa) leads to liberation and nirvana. And both are based on either the recognition, or non-recognition that phenomena are empty and lack substantiality. The "nature" of phenomena, as in their "ultimate" nature is simply that they are non-arisen and thus unconditioned. This means that so-called "ultimate truth" is nothing more than a name that is attributed to the cessation of cause for the arising of the misconception of conditioned entities. It is not some "thing" or "principle" that is "of itself" or "indivisible" like in Advaita Vedanta. This is why the Mahāyāna goes to great lengths to show how emptiness is also empty, and this is why emptiness and dependent origination are called "profound". Emptiness is empty, because if the conditioned was not established to begin with, then the so-called unconditioned is simply a designation that is implemented conventionally from the standpoint of the relative to demonstrate that the conditioned is actually a misconception. Entities that are misconceptions have never actually arisen, as they are merely figments of ignorance. And so when ignorance ceases, the misperception of conditioned entities also ceases, and thus one recognizes that those so-called conditioned entities were unreal from the very beginning. That realization of non-arising is precisely a recognition of the ultimate nature of those alleged entities that are cognized from the standpoint of the relative. Since those conditioned entities are not established, their "unconditioned" nature is simply pointing to the potentiality to recognize that they are unreal, and in this way, the so-called "ultimate" is nothing more than the cessation of the misconception of conditioned, relative entities. This means that said ultimate is not something real in-and-of-itself. For example: if we were to see a mirage in the desert that looked like water and were ignorant of the fact that the appearance (of water) is merely a mirage, we may mistakenly think that water to be real. Someone who knows it is a mirage may say, "no, the ultimate nature of that water is that it is an illusion, it is a mirage and isn't real." And so we would then know (at least inferentially) that the water is merely an insubstantial appearance. When we directly discover that "ultimate mirage nature" then we too will directly and experientially know that the water is "essenceless". But initially, for the sake of communicating that essenceless nature, one may state that there is an "essential nature" which is not being recognized so that others know not to take the appearance at face value, as something real. The Vedantin view is different in that it says the mirage would have an actual essence, that is truly established, and that said essence is all-encompassing, and your true identity. It is a vastly different view. This means the assumptions behind phenomena not being different than their unconditioned nature in Advaita is that all phenomena are actually in truth, perversions of an established unconditioned existent, and that essence is truly substantiated, real, and singular. Not to mention that it is transpersonal. This is directly in conflict with Dzogchen and other Buddhist systems. In Dzogchen, dharmas or conditioned entities are byproducts of afflicted action, primarily the action of grasping which is predicated upon ignorance. This means that conditioned entities are byproducts of delusion, and their apparent existence is maintained by clinging and habitual karmic tendencies. When that ignorance is severed, and karmic propensities are exhausted, the individual simply recognizes that phenomena have never arisen in the first place. But, this means that the so-called "unconditioned" nature of that phenomena is not real, because this would mean that figments of ignorance somehow possess a substantial essence. This is impossible, because something that has never been real to begin with cannot possess a real essence or unconditioned nature. So this means that realization in Dzogchen and in Buddhism is simply a cessation, and specifically a cessation of cause for the arising of affliction. The delusion of conditioned entities arises with ignorance, and the cessation of ignorance means that one recognzes that conditioned entities never arose in the first place, which for the sake of communication is described as recognizing that the "conditioned" is in fact "unconditioned". But that "unconditioned" nature is only valid in relation to the initial ignorance that mistook appearances to be "conditioned", it is not something that exists by itself like it does in Advaita. how can the unconditioned be established?" "Outside of the saṃskṛtas [conditioned dharmas], there are no asaṃskṛta [unconditioned dharmas], and the true nature [bhūtalakṣaṇa] of the saṃskṛta is exactly asaṃskṛta. The saṃskṛtas being empty, etc. the asaṃskṛtas themselves are also empty, for the two things are not different. Besides, some people, hearing about the defects of the saṃskṛtadharmas, become attached [abhiniveśante] to the asaṃskṛtadharmas and, as a result of this attachment, develop fetters." Going on to say that the person who rejects the saṃskṛtas is attached to the asaṃskṛtas by attributing to them the characteristics of non-production [anutpāda], and by the very fact of this attachment those asaṃskṛtas are immediately transformed into saṃskṛtas. Which, as I have pointed out before; is equivalent to the act of turning dharmatā (the unconditioned nature of phenomena) into a dharmin (a conditioned phenomenon) by considering it to be a separate, existent, unconditioned, free-standing nature. It should instead be understood that the very non-arising of conditioned dharmas [saṃskṛtadharmas] is the unconditioned [saṃskṛta] dharmatā. It is an epistemic realization which dispels ignorance by severing the causes and conditions for invalid cognition... not an ontological essence that exists on its own (that is what Vedanta teaches)." Kyle wrote quite well, you better save it again. The conventional truth however can be explained with more vivid examples as in how it provides functional validity in daily usage but when those referents referred by the conventions when investigated with ultimate analysis are realized to be empty. The problem is the mind is so hypnotized that even if you read a thousand times about how conventions when sought and investigated are empty, the mind just can't understand and is unable to break-through. Next one must differentiate correctly the difference between realizing the NATURE of mind and phenomena as empty and non-arising and having direct experiential taste of phenomena itself. It is not just a direct non-dual and non-conceptual experience of mind and phenomena. The former is about realizing whatever (phenomenon) that appears to arise has never truly arisen other than a confused mind ascribing true existence to an appearing mirage and trapping itself in the extremes of samsaric existence. As for the latter, you will almost end up having a substantial view that all phenomena originate from Awareness and is Awareness. Awareness is primordial and non-dual. Lastly, in my opinion, over-emphasis of the nature of mind/phenomena can still lead one to err towards the ultimate. To understand emptiness and non-arising, we must understand from the view of dependent arising. That is, emphasis should not be just about the nature of mind and phenomena as empty and non-arising but rather in realizing whatever dependently originates (dependent arising) is empty and non-arising (does not originate, abide and cease but only mistaken to be so) then we will not neglect causes and conditions and the conventional. Kyle missed completely the nature of the changeless Dharmakaya which is the only cognizant element. That Dharmakaya exists beneath, before the individual continuum arises. It's the universal ground or Zhi. Kyle is correct but only when taking the Kunzhi or Alayavijnana as the Zhi. The Alayavijnana arises from the Zhi as Dharmakaya. Advaita and Dzogchen point to the same Zhi if we refer to nirguna Brahman or para-atman in Advaita. They both say the actual Zhi awareness always present is unconditioned, changeless and permanent and requires no practice or study to be recognized in immediate awareness. Jackson writes: "Kyle missed completely the nature of the changeless Dharmakaya which is the only cognizant element." The "cognizant element" in Dzogchen and Buddhism in general is the mind. Dharmakāya is the ultimate nature of the mind. When the mind awakens to its nature, that is dharmakāya. Jackson writes: "That Dharmakaya exists beneath, before the individual continuum arises." Dharmakāya is not something that actually exists, the principle in its proper context is a rhetorical device that is employed to denote the unconditioned and omniscient nature of the mind at the time of buddhahood. It is not some sort of truly existent underlying "source", although it is sometimes treated as such in a conventional sense. Jackson writes: "It's the universal ground or Zhi." 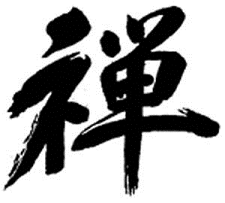 The gzhi is simply a title that is attributed to the nature of one's mind prior to recognition. The three wisdoms are not known by sentient beings, and so Dzopachenpo states that aspirants are to recognize the basis [gzhi], which is the name for the nature of mind. Once the basis [gzhi] is recognized it becomes the path [lam]. Jackson writes: "Kyle is correct but only when taking the Kunzhi or Alayavijnana as the Zhi." I said nothing about the ālayavijñāna. And the "kun gzhi" is not the ālayavijñāna, but is a sub-set of the ālayavijñāna. But no, I am not mistaking the kun gzhi for the gzhi... however, this error is something that you can easily be charged with. Jackson writes: "The Alayavijnana arises from the Zhi as Dharmakaya." You will have to differentiate between the ālaya [kun gzhi] and the ālayavijñāna [kun gzhi rnam shes], they are not the same thing. If we are talking about the ālaya, in the context of Dzogchen, then we should understand it to be a mere synonym for avidyā [ma rig pa]. Avidyā does not "arise" from dharmakāya, but rather is the result of failing to recognize dharmakāya. Jackson writes: "Advaita and Dzogchen point to the same Zhi if we refer to nirguna Brahman or para-atman in Advaita." Not in any way, shape or form. The Brahman, or puruṣa of Advaita is a singular, homogeneous, transpersonal, unconditioned ontology... there is nothing like this in Dzogpachenpo or in Buddhism in general. Jackson writes: "They both say the actual Zhi awareness always present is unconditioned"
The basis is not "awareness", it is the three wisdoms. Awareness is something else. While the gzhi is unconditioned, yet obscured by adventitious defilements, awareness is conditioned, and must be divested of said conditioning through recognizing the nature of mind. The fact that you believe that your awareness is always unconditioned is quite concerning, and again, speaks to your ignorance of Dzogchen. Jackson writes: "They both say the actual Zhi awareness always present is unconditioned, changeless and permanent and requires no practice or study to be recognized in immediate awareness." I'm not sure what you mean by "both", as Advaita Vedanta has nothing to say about the "gzhi" in Dzogchen. Advaita is a completely different system, with completely different principles. Dzogchen also never says that the path is unnecessary, this is your own fabrication. It is true that your nature is unconditioned, unchanging and "permanent" so to speak, but your knowledge of that nature is initially completely absent, and only intermittent on the path. So the idea that "no practice or study" is required is complete nonsense. Study and practice may not be required for mere recognition, but mere recognition is square one, and the entire path ensues from there. Too much conceptualizing about a non-conceptual teaching?